The sixth episode features Maarika Truu and Marten Kaevats. 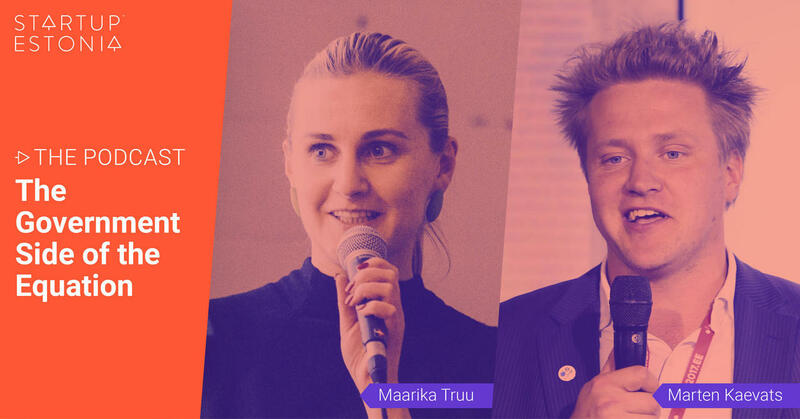 Maarika has been active in the Estonian startup ecosystem in various fields; managing sales in Pipedrive, organizing hackathons for Garage48 and is currently the head of Startup Estonia. Marten is the national digital advisor for the Government Office of Estonia. Maarika and Marten discuss how the government is involved in the startup ecosystem development and what are the plans for future. The podcast is hosted by Joao Rei. Read more about Estonian Startup Visa and stay tuned for the next season!